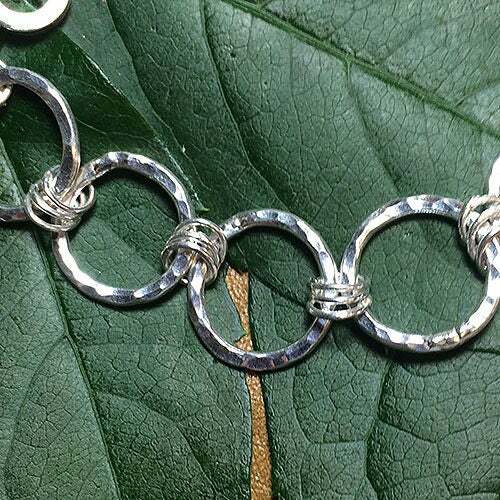 Hand-made .925 Sterling Silver Bracelet. 7.5" long but may be worn shorter. 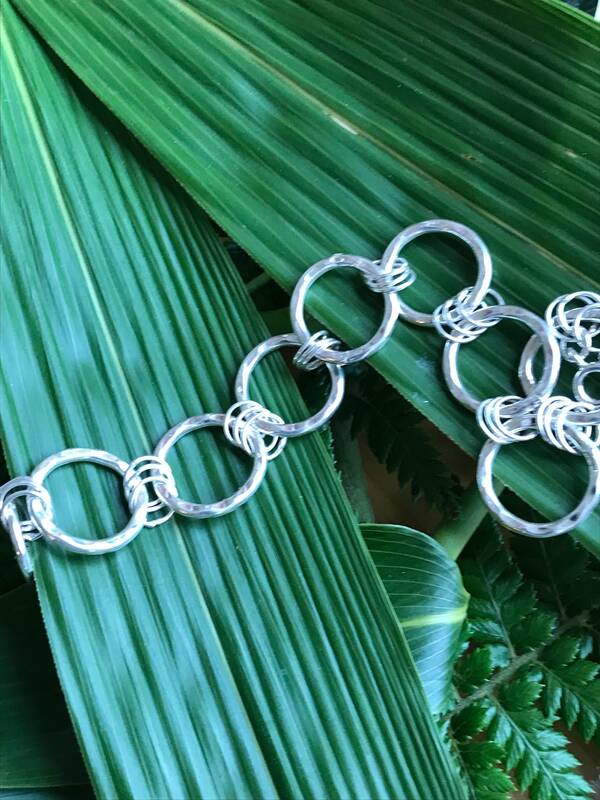 Sterling Silver hammered finish chain links connected with triple ring detail. Each component hand made and soldered for complete security. Anything with a hammered finish is popular as the texture catches the light beautifully. 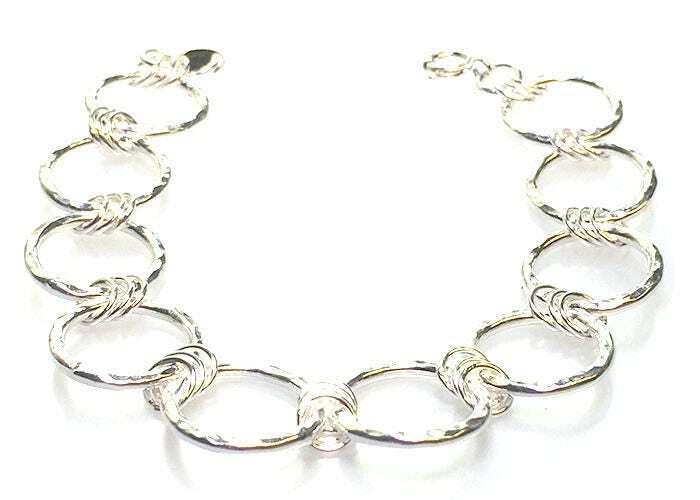 See other listings or visit www.sellisofcambridge for matching items. Fully Hallmarked.